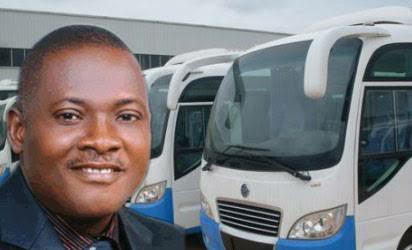 EFCC Vows To Arrest Innoson Motors Boss Over "Fraud"
The EFCC has vowed to ensure that the Chairman, Innoson Motors Nigeria Limited, Innocent Chukwuma is arrested to face a fraud charge in court. The Commission made the vow on Wednesday, after Justice Olusola Williams of the Special Offences Court sitting in Ikeja, Lagos, struck out the case of fraud it instituted against him. In a short ruling yesterday, Justice Williams held that it was the responsibility of the EFCC to produce him in court.